In 1929 the 1st Battalion, out of the Commanding Officer's fund, purchased a bell for the Guard Room from the Croydon Bell Foundry. 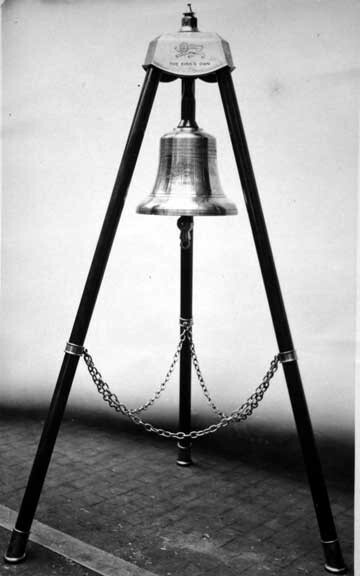 The bell was to appear in various photographs including when the 1st Battalion was on exercise. 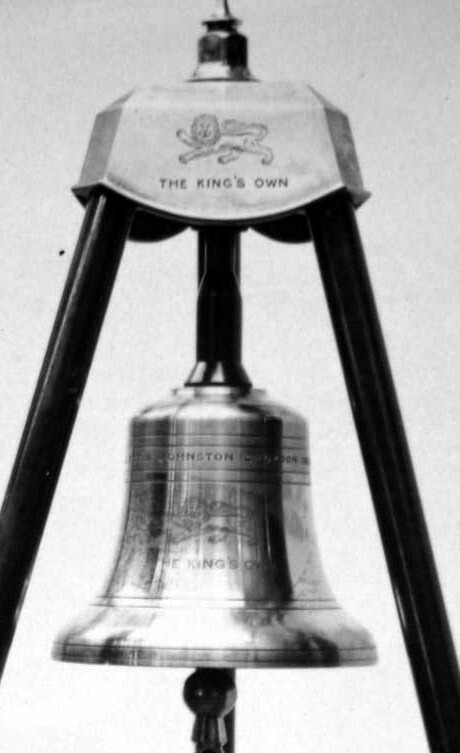 Guard room bell, 1st Battalion, King's Own Royal Regiment, 1929. 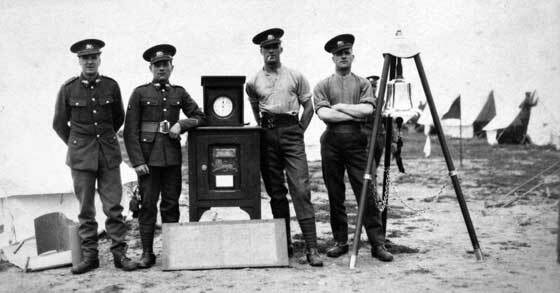 Second from the right is Private Frederick Wadeson, number 3708709, 1st Battalion, King's Own Royal Regiment, circa late 1920s.